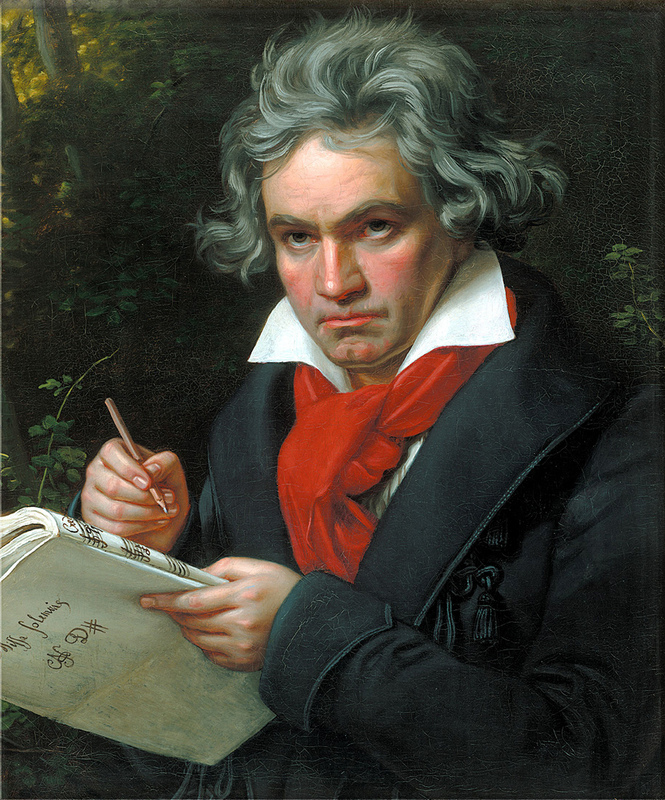 Beethoven’s Fifth Symphony is one of the most popular and best known compositions in all of classical music, indeed one of the landmarks of Western culture. The symphony’s four-note opening motive: “short-short-short-long,” appears frequently in popular culture, from disco to rock and roll, from films to television. The first movement is dominated by the four-note motive described before. Even when a lyrical second theme appears, the four-note motive remains as accompaniment. During the recapitulation there is an oboe solo in quasi-improvisatory style, and the movement ends with a massive coda. The second movement features a lyrical melody introduced by the violas and cellos followed by a second theme in the winds and violins. Variations of these themes appear, leading to a series of crescendos and a coda to close the movement. In the third movement, a scherzo and trio, a soft arching melody in the cellos and basses is answered by a more plaintive theme in the winds. This sequence is repeated and finally the horns loudly announce the main theme of the movement, another variant on the four-note motive from the first movement. The trio section is in C major and is written in contrapuntal texture. The reprise of the scherzo, soft with pizzicato strings, leads to an extended coda which connects directly to the last movement, a triumphant and exhilarating finale in C major. The finale includes a very long coda, as the main themes are temporally compressed and, toward the end, the tempo is increased to Presto. No less than 29 bars of C major chords, played fortissimo, are needed to ground the extreme tension of this immense work.